A “Class of 1972” charter inductee, Pete Kapusta is third all-time in points (465), fourth all-time in goals (194), fourth all-time in games played (517) and fifth all-time in assists (271) in Reds history. 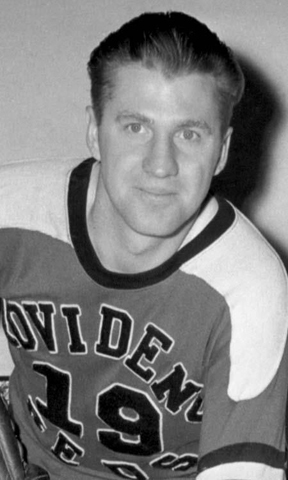 Kapusta skated for nine seasons with Providence from 1946 to 1955 and was a member of the Reds’ 1948 Calder Cup championship team. This left winger also skated in the Quebec Hockey League (QHL), the United States Hockey League (USHL), and the Western Hockey League (WHL). He was inducted into the Manitoba Hockey Hall of Fame in 1993.